Bacchus is the greatest Spanish event in the world of wine. It is the only OIV recognized contest in which over 1,500 wines are judged by a jury of the highest level: Masters of Wine, Masters of Sommelier, journalists , wine makers and international influencers that turn Madrid into the world capital of wine for a few days. 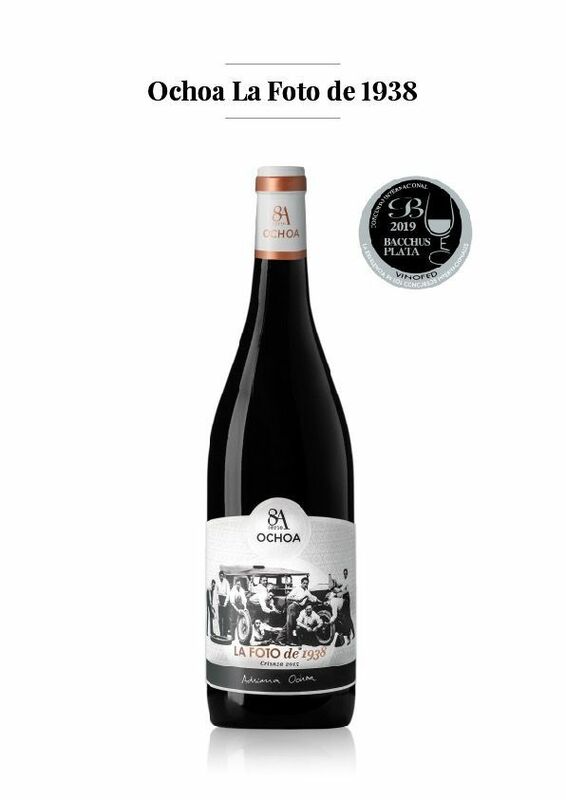 In this XVII edition, the International Wine Contests BACCHUS 2019 has awarded with a silver medal to Bodegas Ochoa´s latest creation: 8A La Foto de 1938, 2015 vintage. The 8A collection is a series of wines signed by Adriana Ochoa, with a story behind them. This is already clear from the name of the collection, 8A, as a tribute to her grandfather, Adriano who used to sign in this way. Adriana´s father, Javier , taught Adriana to appreciate grape varieties and love for the land and wine. And she is the wine maker for this wine. We are talking about a wine with 3 generations. This particular wine, La Foto de 1938, is still homage to her grandfather, fourth generation of a family dedicated to viticulture, who always kept a “special” wine for his family and friends. And so, this Ochoa 2015 vintage wine, is a fresh, fruity and dynamic crianza, made to enjoy in memorable moments, either with a meal, some tapas or just on its own. “It’s a joy for Bodegas Ochoa to receive a Bacchus silver with a wine made in memory of our grandfather. It is our latest release and with this prize it starts its list of honours, which we hope will continue to grow as it is very good” states Adriana Ochoa, wine maker and creator of this new wine.